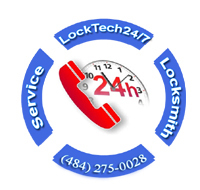 Contact us, your Allentown Locksmith Services. In order to serve you better, your opinion is important to us. Whether you’re looking for answers to your questions, need emergency locksmith in Allentown, or just want to let us know how we’re doing. You can enter our FAQs page to check if your question is answered there. When you contact us, you can specify the problem and we can address it right away. With this intention, please provide us with the most described details of the issue. In most cases, we’re able to give you the correct price over the phone. In other cases, we will give you an estimate over the phone or via email, and the correct price on-site. No work starts before the price is agreed to with the customer. If you’re an existing customer, and you call to claim your three months’ warranty, please provide us with your receipt number and date of the job. When you contact us, we will give you the best possible service, as we can. With this in mind, we provide automotive locksmith, residential locksmith, and commercial locksmith services. Feel free to visit our locksmith blog posts or connect with us in one of the many ways we provide on our website. It is so convenient to get emergency locksmith service with a one single click. Click to call us at (484) 275-0028 for wither a fast car lockout assistance, an immediate house lockout service, or a business lockout in Allentown PA, and metropolitan. Be that as we may say, we hope you enjoyed visiting us, and look forward to serving you.